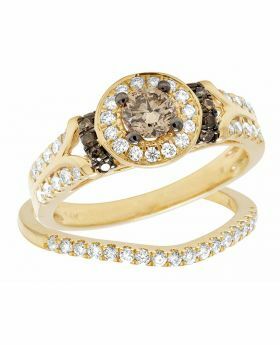 This ring comes in a beautiful presentation box with an in-house appraisal. 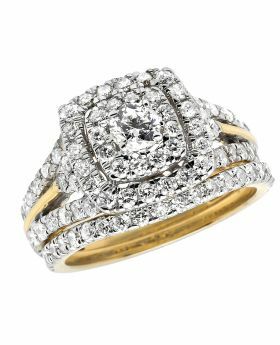 Ask for her hand with the elegant diamond ring, and seal your commitment with an equally beautiful wedding band. 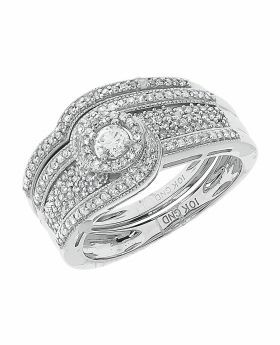 She will fall in love with this stunning 14K white gold (3.3 grams). 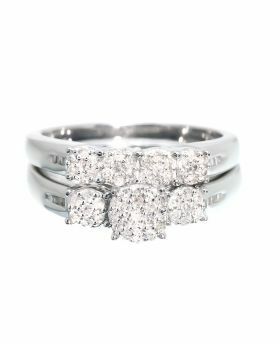 A quad princess-cut invisible-set diamond shines in the heart of the ring. 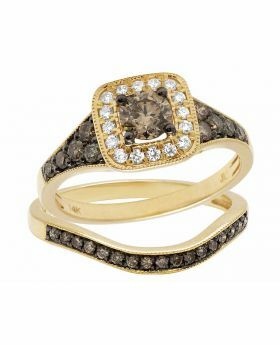 This gleaming center is bordered by a 7.5MM X 7.5MM diamond squared frame in shared-prong setting, while additional diamonds line the shank. 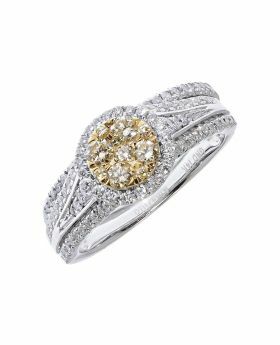 Radiant with 0.50ct diamonds boasting Si2-I1 clarity, H-I color. 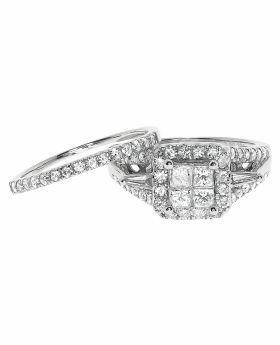 On your wedding day, complete this exquisite ring by presenting her with the diamond-lined wedding band that fits perfectly on the engagement ring. The 2.5MM wide wedding set sits 6MM off finger. 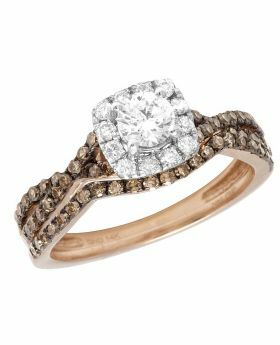 The ring has milgrain edges for a vintage touch. 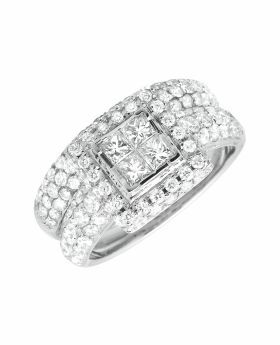 Polished to a brilliant shine, this classic and glamorous look is one she'll wear with great pride. 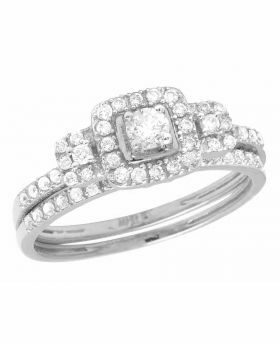 Available in size 7, can be resized upon request for an addtional charge.